"I remember when I found out I was pregnant, I was so shocked because it was not planned. I was 24 and with my partner for 2 years. As we got over the shock we started to get used to the idea, and we were thrilled and Joe asked me to marry him. We were so happy. As I reached the 4-month stage I had to go for my first scan. We were so excited. As the nurse scanned my belly she had a look on her face, and I just knew there was something wrong. She left the room, and, after what seemed like ages, she came back with a doctor. He began to scan me as well. It took a long time, he said there was a lot of fluid around the baby and to come back in six weeks for a different kind of scan. We left feeling numb, those six weeks were hell - everything and anything went round our heads. "When we went back for the scan I remember it was at the bottom floor of the hospital, and when it was finished we were told nothing, just to go up 3 floors to talk to a doctor. 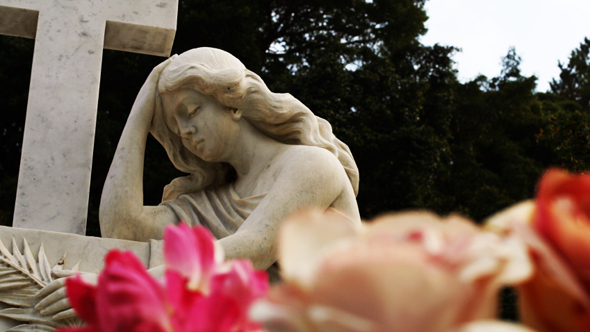 They sat us down and began to talk, and all I can remember is being told that our baby was not going to live and some big long word, which I remembered later as anencephaly. Then they handed Joe and I a leaflet on neural tube defects, and that was it. I can't describe the way we felt, nobody knew what to say to us, we didn't know what to say to each other, it was the worst time of our lives. We were just handed the biggest, saddest news of our lives and the response to all of this was to be handed a leaflet. We decided to go ahead with the wedding to try and keep busy, as I didn't know how long I would hold on to my baby. As the months went by I felt as if my belly would get big, then small, as if it were different from time to time. We hoped she would live for the wedding and she did ... I'm so glad Jasmine was with us on our big day. As the wedding grew close I was getting sicker, but we hoped our baby would live for the wedding, and she did, thank God, and we had a great day. I'm so glad Jasmine was with us on our big day. That was the 11th of July 1997. Because I was so sick we didn't have a honeymoon, and two weeks later I was bedridden. I was so sick, and I lived on rennie and milk. I also had terrible pressure from the water I was carrying. On August 30th at 3.30 in the morning my waters broke, I felt relief that all of the water was gone; my belly looked flat, but I wasn't ready to give her up just yet, plus I was terrified. I rang the hospital and they said to come in. As I sat in the car I cried. At 9 o'clock in the morning my pains started, I was put in a private room but still on the same floor as all the new mammies. After 3 hours in, I was brought down to labour ward, a little tiny room just one nurse, Joe and my ma. 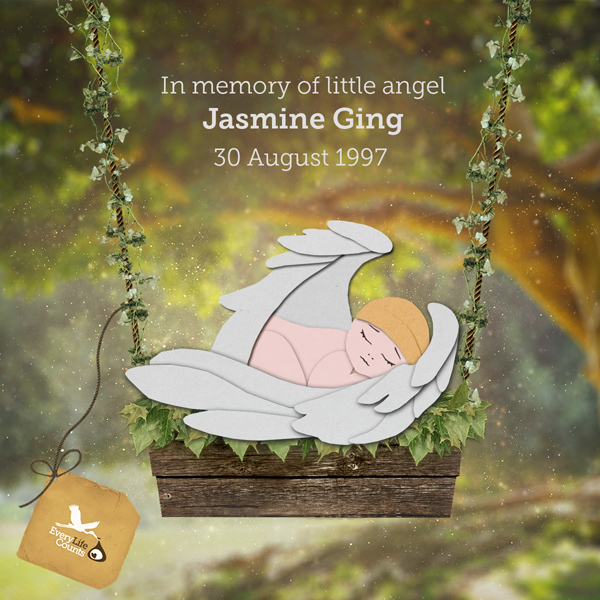 It was time to push, and after three hours my Jasmine was born. The nurse wrapped her head and put her on my belly. The silence hit me. My baby girl had died while I was in labour. No one had prepared us, and to be honest I got a bit of a fright. As I was getting cleaned up they took Jasmine away to grade her and I was put back up to my room. It was such a hot day I remember, all the new born babies were crying, I couldn't stand it. I went back down to see Jasmine but I didn't know what to do. I was afraid to hold her, in case I'd hurt her, and I couldn't let her go. She was just 2 pounds in weight. I really regret not holding her now. All I have is a photo and a cot tag, nothing else. I never thought I'd ever cope again or get through it, but as the old saying goes time is a great healer, and I've learned to live with it. I'm crying writing this but it's all good. Jasmine has 3 more sisters now. I went home the next day, I remember Lady Diana had being killed. I felt a terrible feeling leaving the hospital. I felt empty, the pain was sickening. I remember meeting new dads going in with car seats and flowers and balloons and thinking we'd have to collect our baby in a coffin. My baby was gone. We had a small funeral for Jasmine. My uncle, who is a priest did the service. She was buried in Kildare; I can't remember much, only that at first I wouldn't get out of the car, but I did and we got through it together. My baby, Jasmine Anna, would be 15 this year. I never thought I'd ever cope again or get through it, but as the old saying goes time is a great healer - I've learned to live with it. I still get the odd day when I feel sad, and I do still cry, I'm crying writing this but it's all good. 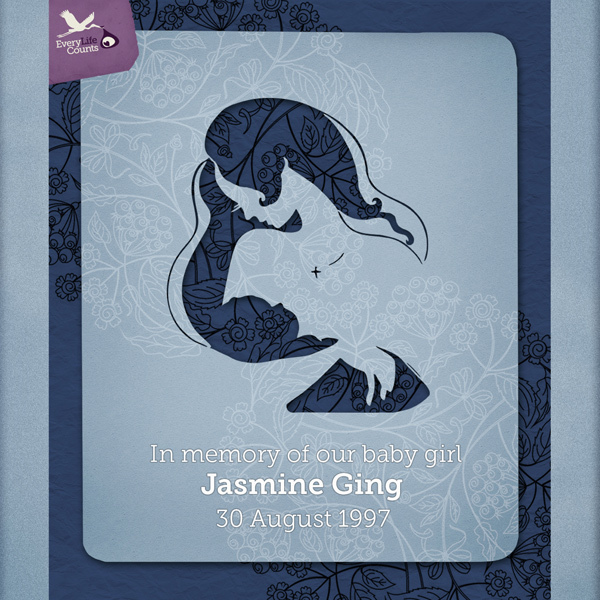 Jasmine has 3 more sisters now and her memory lives on. I hope that support services are made available everywhere because it's so important for parents. 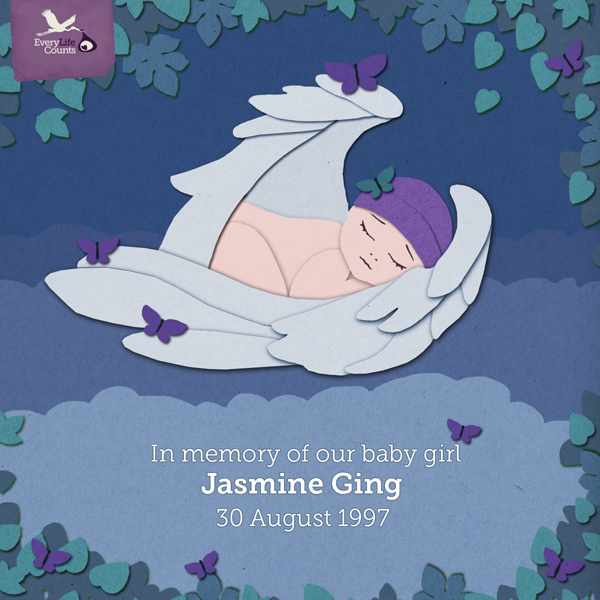 I know it would really have helped if those services were there for Joe and I when Jasmine was born. It would have helped us to be prepared and to be able to hold her and not be afraid, and we would have had better memories and learned to make the most of the time we did have with her. I hope every parent can get this help now, because your time with your baby is so short and you deserve to be able to make the best of it and to cherish your child. 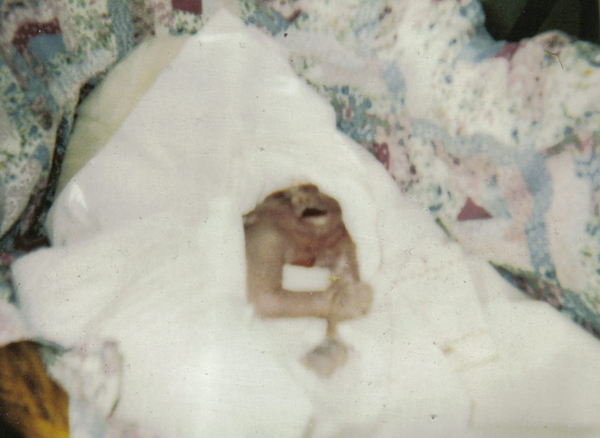 ANENCEPHALY is a neural tube defect which means that the baby's skull and brain do not develop correctly in the womb. A recent study published in the British Journal of Obstetrics and Gynaecology found that 72% of babies with anencephaly lived for a short time after birth. Of those children, 25% lived up to 5 days, while up to 7% lived up to 28 days after birth.